In the war on terror, politicians are making many mistakes. Some of the most costly mistakes come from refusing to understand the enemy. Perhaps a quick look at The War Within would help. This movie is an unflinching portrait of a suicide bomber. 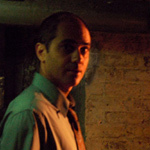 An introductory scene shows Hassan (Ayad Akhtar) being tortured. The scene either explains or excuses, depending on your take, what follows. Hassan smuggles himself into the United States where, with 7 other terrorists, he plans to blow himself up in an attack on New York City. Writers Akhtar, Tom Glynn, and Joseph Castelo (who also directed) contrast Hassan with a more typical Pakistani Muslim experience. He looks up his old friend Sayeed (Firdous Bamji), whose family has settled in New York. Their son attends school, and they are actively involved in the PTA. They have backyard barbecues with their friends and the talk politics, religion, and the weather. To Sayeed’s family, Hassan seems very serious, very pious. To us, we know that it goes beyond that. In dealing with his fellow conspirators, he chides them for losing the moral high ground by partaking in the unholy freedoms of the United States — alcohol, gambling, even prostitutes. He reassures them that what they are doing is what Allah has willed for them. The War Within is a very good political movie about terrorism. It doesn’t surpass The Battle of Algiers, but it deserves to be mentioned in the same breath. Castelo and the other writers take the subject seriously. They do their best not to paint the terrorist a villainous black. Instead, they let the character speak for himself. The result is nearly the same — the bomber ends up looking like a villain — but the audience can condemn him without prejudice. We can see the mistakes he makes along the way — mistakes lots of people have made and continue to make. Perhaps the best thing about The War Within is that it spells out the motives for terrorism. When the best our political machinery can manage is “they hate our freedom,” it’s refreshing to hear someone take the time to explain what the real motives are. As genuine as Hassan’s motives seem to be, the movie never sympathizes with him. It lets Hassan say what he believes — that he is carrying out the will of Allah, and that “America” must pay for what she has done to Hassan’s Islamic brothers. But smart audiences will see the holes in his explanations. In fact, The War Within is an excellent lesson in what’s wrong with the extremist and fundamentalist thinking behind terrorism. If the best Hassan can come up with is “it is God’s will,” but he cannot answer how he knows the mind of God, then he really has no reason at all. When he is so sensitive to insult, and yet so insensitive in inflicting pain and death, then he is a hypocrite at best, mentally ill at worst. Ironically, some other critics have blasted the movie for being too “on the nose” and for spelling things out too clearly. But when you can’t get an honest discussion of terrorists and their motives anywhere else, perhaps the cinema is the place to turn. camhead: It was interesting how Hassan explained to Ali that when a Muslim brother is hurt, he is hurt too, and yet he never saw the pain that his act brought into the lives of his former best friend and Sayeed's family.